Well, now I am really glad for our small bits of snow. My dad in Pennsylvania ended up with 2 feet! Yikes. I'll take 5 to 6 inches over that any day. Plus, it's supposed to get up to the 40s today here so I imagine it will start melting nicely. In the meantime, thinking of summer days and steam train rides. 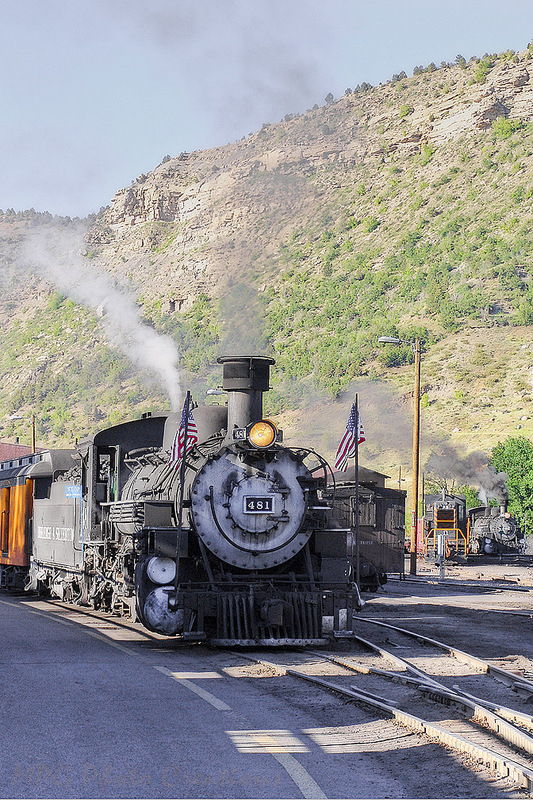 This is from a trip to southwestern Colorado and the Durango and Silverton Railroad. 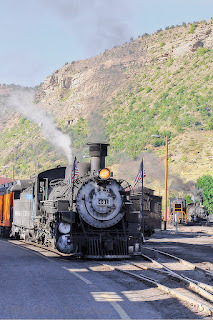 The front locomotive was sitting at the station in Durango just about to pull out with it's train. The one in the background was ours all steamed up and ready to attach to it's train and take us to Silverton.